Bars, restaurants, discs, hotels on Madhya Marg and NH-21 will be again seen in all its prime. The ban on liquor serving within 500 meters on national and state highways comes to an end in Chandigarh. This means, Sector 26 and 35 will again see our favourite hangout destinations in life. The Supreme court dismissed the PIL against Chandigarh denotifying highways and clarifying its December 2016 order on liquor ban within 500 meters of state and national highways said that the ban was aimed at curbing sale of liquor in proximity of highways that connect cities, towns and villages. “The order does not prohibit (sale of liquor) by licensed establishments within municipal areas”, clarified Supreme court. 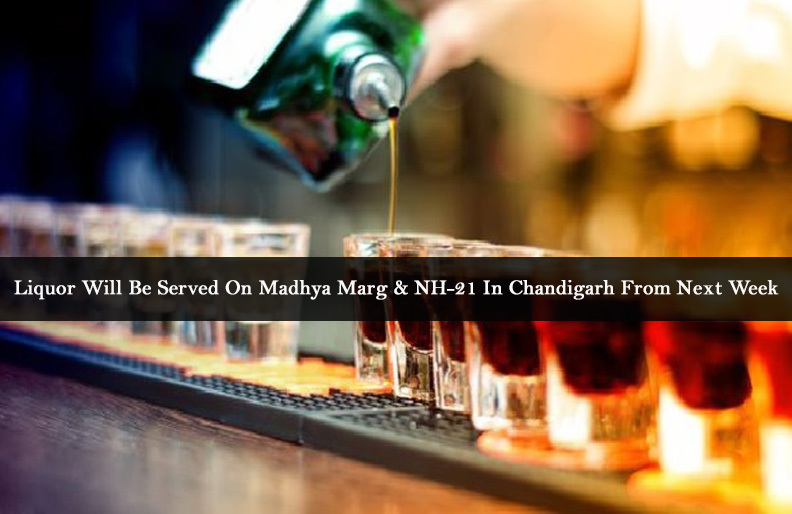 The court order was to implement after 42 days of its judgment, which ends today and pubs, bars, restaurants within the municipal limits of Chandigarh, whether they are on national highways or state highways or district roads will open and start their business ‘as usual’. The ban on liquor serving on state and national highways had severely hit the hospitality industry. Though Chandigarh administration denotified many of its roads as district roads, Sector 26 and Sector 35, the hub of social butterflies in and around the UT could not be kept out of its purview. December 2016: In the light of increasing deaths on highways due to driving under the influence of liquor, the Supreme Court banned serving alcohol within 500 meters of national and state highways and the judgment was to be enforced from April 1, 2017. The petition was filed by Chandigarh based NGO, Arrive Safe. Following the judgment, gauging the loss to state exchequer state governments started denotifying highways. March 2017: A special committee was set up to study the peculiar case of Chandigarh. When Chandigarh was developing, the roads within the city were notified as state and national highways to reduce the financial burden on Chandigarh MC. The committee headed by UT chief engineer recommended changing the nomenclature of state highways as district highways. The Chandigarh accepted the recommendations. However, could not change the status of NH 21 and Madhya Marg. April 1, 2017: The judgment came into effect and was became a laughing stock for the twitterati world. June 2017: Punjab government led by Captain Amarinder Singh amended Section 26-A of the Punjab Excise Act, 1914, for fixing the location of liquor vends on National and State Highways.To the existing provisions that no retail vend would be opened within 500 meter of the National and State Highways, it added that these restrictions shall not be applied to the hotels, restaurants and clubs situated on the National and State Highways. However the petition was dismissed. July 11, 2017: The NGO, Arrive Safe, filed a petition in the Supreme court saying that changing nomenclature amounts to diluting the court’s order. The Supreme court dismissed the petition saying that the aim of the judgment was to curb drunken driving on inter and intra state highways. “The order does not prohibit (sale of liquor) by licensed establishments within municipal areas”, clarified Supreme court. This legalised the serving of liquor within the municipal area of a city. August 30, 2017: After 42 days of the court’s order on July 11, it becomes enforced and restaurants, pubs, hotels again start serving liquor to their customers. Next articleDo You Know Petrol Prices Are The Highest In Last 3 Years?